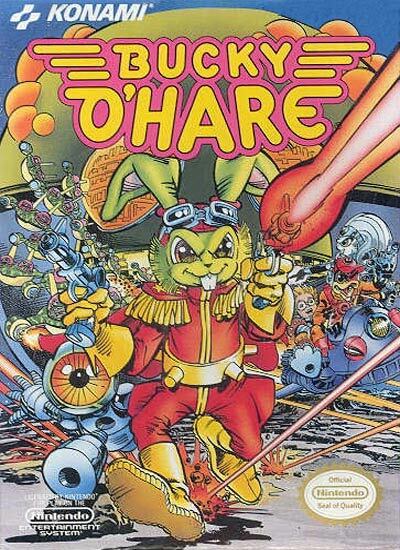 Become a renegade space rabbit in BUCKY O'HARE. It seems that the Toad Empire has captured Bucky and his crew. Become Bucky and bust the others out of jail. Once you get a crew member out of jail, you can use his or her special fighting skills to get through the remaining stages. All of the skills are needed to defeat the elite Storm Toad Troopers and Double Bubble High Speed Toad Armada Tanks. See if you can make it through all eight levels in BUCKY O'HARE.